When I dress up I really really want to dress it up. I love wearing long dresses especially ball room gowns. This time I was looking for a gown which had some Indian touch to it. A rich Indo-Western gown can be a great addition to your special occasion dresses. When you search online, there are plenty of options for special occasion dresses but I wanted something tailored for me. 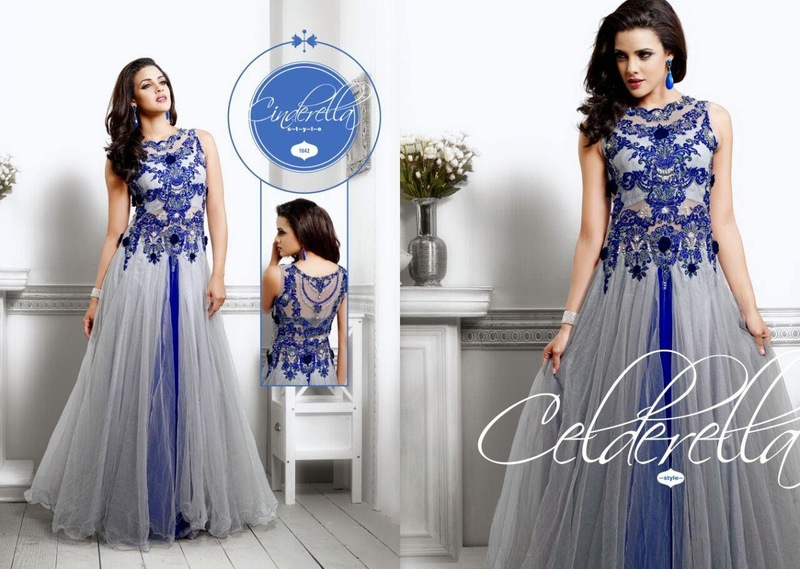 I finally found this Special Occasion Dresses collection at Vasundhara Fashions. Check them out, they are elegantly stylish ! I love these colors and the contrasting embroidery. The embroidery (Zardosi) work is perfectly done so it gives a rich look to the dress and avoids looking tacky. The best part is that its semi stitched so you can get it tailored for your own size. WOW I love that ! You don't have to pay extra for the tailoring its included in the price and its only $175. Each one is a unique piece so make sure you make your decision quickly. Visit Vasundhara Fashions for more or check their website http://www.vasundharafashions.com/ to order online. Now the most difficult part is, I have to choose only ONE from these 8 sizzling dresses, Ahhhh I made my choice but Which one do you like??? The Saree style is novel! These are all such gorgeous gowns. I love the yellow/golden one. So pretty! Thanks for sharing these. These dresses are very elegant! it is so important to have a few dresses for special occasions! you understand the need during wedding season! nice :) yes, I follow you on gfc, follow back? Wow all these dresses look stunning. I can't pick a favorite. I love them all. I love all these dresses! Thanks for visiting my blog, I'd love to follow each other. I'm your new follower on GFC, G+, Twitter and Facebook! Hope you follow me back! These look really pretty I love them . Oh god they r all soo gorgeous! Really can't choose only 1!! Let's wait n see what u buy. Great outfit all the dresses awesome. Specially i liked the last 4th these are amazing for any occasion.